Be among the first guests at the Centra Taum Seminyak Resort in Bali and enjoy special opening rates! Rates are USD54 for a Centra Studio, USD62 for a Deluxe Garden Studio, USD91 for a 2-Bedroom Suite, and USD114 for a 3-Bedroom Family Suite. Rates include breakfast and WiFi. A 10% service charge and 11% local taxes are additional. This promotion is available now through June 30, 2012. Rates for other room types are USD85 for a Duplex Suite, USD111 for a Duplex Pool Suite, USD127 for a 2-Bedroom Pool Suite, and USD for a 3-Bedroom Family Pool Suite. Up to 2 children under the age of 12 can share the room and eat breakfast for no additional charge. An extra bed is available for USD30 per night. 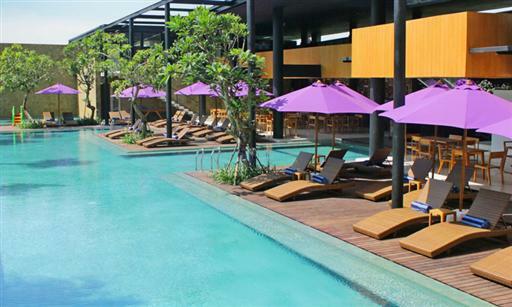 The Centra Taum is a mid-range resort located in the heart of Seminyak, Bali. The low-rise resort is designed to resemble a traditional Balinese village. The 90 guestrooms and suites offer all the modern amenities like satellite TV, DVD player, and WiFi, and some have private swimming pools. Resort facilities include a restaurant, tour desk, fitness center, spa, and swimming pools. 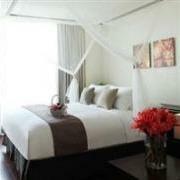 Visit http://www.centarahotelsresorts.com/ctb/ for more information or to make an online booking. 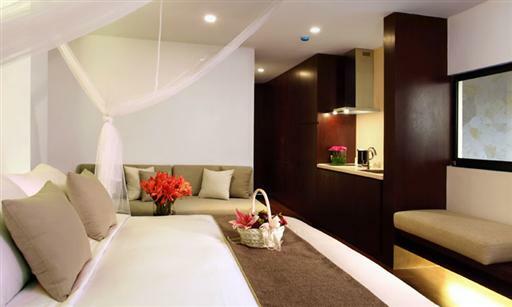 The Centra Taum Seminyak Resort can be contacted by calling (62) 36 1473 1797 or emailing ctb@chr.co.th.